Posted on January 8, 2016 by ladyoftheabyssPosted in Articles, Daily PostsTagged Aries, Cancer, Daily Horoscopes, Gemini, horoscopes, Leo, LIBRA, Pisces, Relationships, rewarding, Scorpio, Spirituality, Taurus, Virgo. Love might seem scarce today, but we may be pleasantly surprised if we slow down and look beyond surface appearances. It’s tempting to show our displeasure by withdrawing emotionally as the austere Venus-Saturn conjunction resonates through our lives. Blending the warmth of Venus with the coldness of Saturn requires hard work. 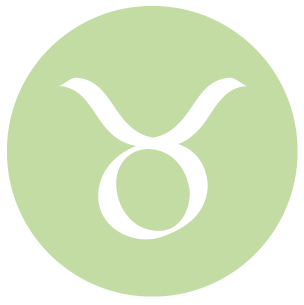 Meanwhile, the Moon’s shift into goal-oriented Capricorn at 10:06 am EST confirms that there are no shortcuts to happiness. Giving someone the cold shoulder isn’t nice, even if you want to send a message of disapproval today. Withdrawing support isn’t helpful if your response is actually based on your current fear of the unknown. It’s more productive to engage in an honest discussion about the cause of your concerns without throwing any blame around. However, don’t expect the tension to dissipate immediately. A river cuts through rock not because of its power but because of its persistence. It’s no fun feeling like you’re being left out of all the action today. It’s as if there’s an emotional chill in the atmosphere now that affectionate Venus is burdened by the weight of karmic Saturn. Although you might push back against the resistance at first, the smartest way to turn an uncomfortable situation into a sweet one is to let go of control. Relinquish some of your independence voluntarily; it’s a small price to pay in the big scheme of things and can improve your chances of feeling like you’re a part of the pack. You may be required to make a tough choice today, especially if you’re not one to sign on to a commitment easily. You could be quite convincing now as you reveal your desire for greater intimacy in a relationship, but you might still feel the urge to run for the hills if someone gets too close to your heart. Thankfully, you’re not doomed to repeat the same old patterns just because you’re worried about getting hurt. Mustering up the courage to push past your fears is the secret to your happiness. Gaining support from a coworker is tricky business today, but you won’t know what you might receive unless you ask for it. Even if you can’t imagine that anyone will actually go the extra mile on your behalf, taking a calculated risk could turn out in your favor. Don’t scare yourself by assuming the current situation demands an all-or-nothing approach. Instead, be cautious and systematically establish common ground as the basis of a solid working relationship. You’re not alone; let others nurture you the way you would nurture them. It could be awkward to engage in a casual conversation today because your feelings might be exposed, and you’re worried that you won’t get what you want. Ironically, your unspoken concerns could manifest into a self-fulfilling prophesy, especially if you choose to withdraw from social interactions. Luckily, you have the resolve to overcome the negativity of your own fears. Turn things around quickly by changing your attitude and opening your heart. It may be disheartening if you don’t receive the respect you deserve from a loved one as vulnerable Venus bumps into judgmental Saturn in your 4th House of Home and Family. You’ve done everything right, yet your ego can trick you into believing you should be more appreciated than you are today. Don’t waste your time dreaming about receiving accolades and standing ovations. The best reward is the deep satisfaction that comes from within when you know you’ve done your very best. Too much resistance from a friend or coworker doesn’t give you an excuse to sulk and brood today. Don’t isolate yourself from your companions just because you think that everything isn’t copacetic between you. It may be tempting to hide your feelings from those closest to you, but this avoidance tactic is not a satisfying solution. Confronting the shortcomings of a relationship might put you back in touch with what you admire about each other the most. You’re not inclined to put too much effort into sharing your feelings today. In fact, you’re quite practical when it comes to allocating your time and energy now that resourceful Venus joins forces with austere Saturn in your 2nd House of Resources. You may be very straightforward about cutting back on frivolous pleasures to assure you will have what you need on a rainy day. Naturally, exercising caution makes logical sense at first. However, there’s an unlimited supply of love in the universe, so you can always splurge when your heart is involved. The time has come to make a crucial decision about how to spend or save your money. But this choice goes much deeper than being a simple cash flow problem because the underlying issue is more likely about your self-esteem. When you realize all the skills you have to offer, your earning power could grow beyond your current expectations. Don’t fall into the trap of thinking that you’re worth any less than you actually are. Real wealth is not about your income potential; it’s about appreciating what is already yours. There’s no reason to suffer in silence today if you’re willing to face an old fear with a fierce new attitude. Your emotional isolation is probably more voluntary than you care to admit now that the sobering Venus-Saturn conjunction influences your 12th House of Invisibility. It helps to acknowledge that the current situation is not the same as what happened in your past. You can choose to respond defensively, based on an old habit, or you can live in the present. There’s no question about it, being an optimist is a much more empowering strategy than being a pessimist. Don’t rush to the conclusion that your friends are putting you down today when your limited perceptions may be contributing to your worries. In fact, you could be so sensitive now that you imagine trouble where there isn’t any. Unfortunately, it might be too late to sidestep a dance with discomfort. Nevertheless, it’s not necessary to project your previous failures onto others; discuss your concerns without pointing fingers at anyone. A heart-to-heart discussion may be all that’s needed to put things right. Unfortunately, there’s no room on your busy schedule to surrender to your desires now. 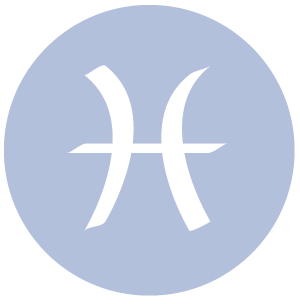 Instead, you must maintain an emotionally cool and competent presence at work while flirty Venus hooks up with responsible Saturn in your 10th House of Career. There’s no time to waste energy complaining about what you’re missing as you strive to achieve your long-term goals. Seeking personal satisfaction can wait; practicing patience today is your best strategy for realizing your dreams tomorrow. Posted on January 7, 2016 by ladyoftheabyssPosted in Articles, Daily PostsTagged AQUARIUS, Aries, Cancer, Capricorn, Gemini, General Horoscopes, horoscopes, LIBRA, Pisces, SAGITTARIUS, Scorpio, Taurus, tomorrow's horoscopes, Virgo. This morning’s energy is spunky and edgy, dear Aries. While changes may certainly be in order, watch that you are acting true to your own heart and not simply reacting to others. 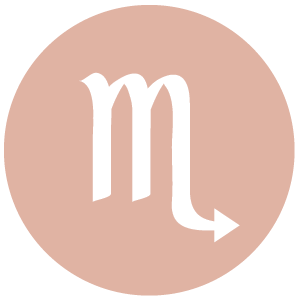 The Moon continues to stimulate your adventurous side today, but Jupiter turns retrograde today, and this points to some natural waning of misplaced enthusiasm. 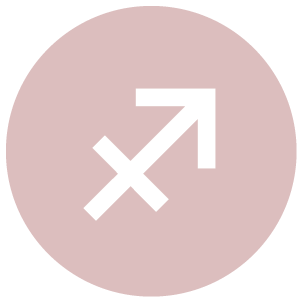 Until May, Jupiter is retrograde in your work and health sector and this can tame your enthusiasm just enough that you’re seeing these things more realistically. Try not to take on more projects now, and instead focus on what you’ve already begun. Edit, refine, and improve your work projects and self-care endeavors rather than taking on more. Today, good energy is building for trust in your close relationships. 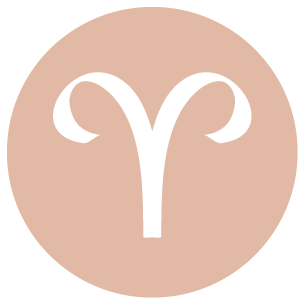 With Jupiter turning retrograde in your solar fifth house today, dear Taurus, this is a time of realigning your thinking and your plans, particularly those along the lines of creative projects, romance, entertainment, and children. Jupiter is retrograde until May 9th. You could experience some waning enthusiasm towards a romance or creative endeavor in the next while. It’s time for some tweaking, and a different perspective on these matters, and is best viewed as a time to catch your breath. There is no need to put things on hold. Some de-emphasis of your pursuit of pleasures/entertainment can be practical now. Romantic prospects are still very good, although in the coming weeks, you might be refining your approach to getting what (and who) you want in love. This can also be a good time for reviewing your financial responsibilities. This morning, your attention can be divided, and you could find it rather difficult to concentrate. Aim to tone down rough edges. 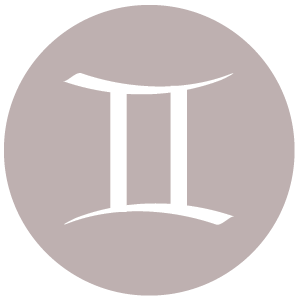 Jupiter has been bringing strong and enthusiastic energy to your domestic projects and home life recently, dear Gemini, and today Jupiter turns retrograde until May 9th. This signals a time for reassessing matters – for making tweaks to your plans – particularly related to family, home, and partnership. Some waning of enthusiasm can be experienced as you adjust to this energy, but any slowdowns encountered now actually offer you the chance to look at your plans from a different perspective so that you can move forward with them with more confidence at a later date. Family life will continue to reward you for many months to come, but some de-emphasis and review is appropriate and beneficial now. This morning favors new approaches and flexibility. If you can avoid the tendency to move too fast and to live on your nerves (or only in your brain), you can come to very interesting, and possibly prophetic, insights. Keep your feet on the ground. Jupiter turns retrograde today, dear Cancer, and will continue to move in retrograde motion until May 9th. While there continues to be good energy for learning, studies, communications, and transportation in your life, some de-emphasis, review, or toning down in these areas is appropriate and beneficial now. It may be wise to slow down when it comes to taking on new interests and projects, and to focus on enjoying and developing what you already have in place. It’s not the time to abandon projects, but rather for making refinements, and this may also be true for work and health endeavors. Today, there may be cantankerous energies surrounding a partnership or parent/boss, but a sense of moving forward is with you. Avoid quick reactions. Jupiter turns retrograde today, dear Leo, and will continue retrograde motion until May 9th. This yearly event points to a need to reassess some of our projects, or to work on developing existing projects rather than taking on new ones. You might experience what seem like turnarounds or waning enthusiasm in the areas of finances, creativity, or romance. 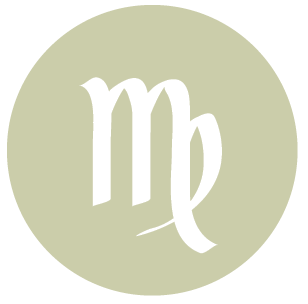 However, as you adjust to the retrograde period, you’ll recognize that this is a strong period for reassessing these matters more realistically, for easing up on spending, and for more realistically considering how much time and energy you have for your projects and recreation. This is about restoring balance in your life. This morning requires patience, particularly regarding opinions, directions, and instructions. Something you hear might stimulate a new way of thinking, so don’t totally disregard communications now. Simply take some time before reacting. 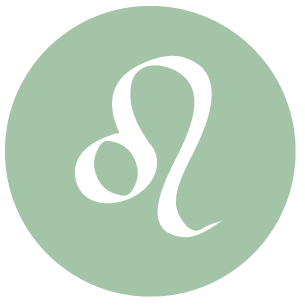 Jupiter turns retrograde today, dear Virgo, and while it continues to transit your sign and stimulate enthusiasm and optimism, some of this is now turning inward. It’s a good time to tame excess and overreaching. If you’ve been overdoing the seeking of freedom, this is the time to rethink and make adjustments that bring you a little closer to earth. This morning, you could be feeling a little on edge, particularly related to creative projects and intimate relationships, and especially if you don’t know where you stand in a situation or with someone. Try to remain flexible and avoid sticking stubbornly to old methods. The Moon continues to transit your home and family sector, all day, and the need to stick with familiar or secure and safe situations actually serves to replenish emotions and heal you in small but significant ways. 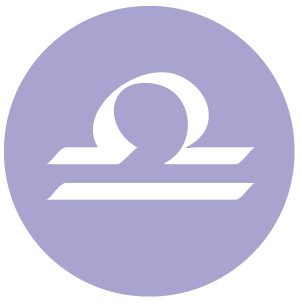 Jupiter turns retrograde in your privacy sector today, dear Libra, and will continue to move in retrograde until May 9th. This can be a time when you have much going on behind the scenes. Your faith in your own instincts may not be as strong as it has been, or you could struggle a little with your faith in life itself to meet your needs. This is a temporary and in fact necessary process that allows you to reassess where it is you want to be, where you’re headed, and whether your connection to your spiritual side is in need of some nurturing. In fact, as you adjust to this energy, you may find that coming out of your protective shell more often can be beneficial. You may need to slow down taking on new mental interests and learning projects so that you can come to a better balance in your life. Today, there can be difficulties concentrating in the morning as you may feel pulled in a number of different directions, and it may be unclear where you’re headed. As the day advances, you might find that focusing on the moment is best and worrying too much about your next step can be a waste of energy when you are uncertain of the final destination. Jupiter turns retrograde today, dear Scorpio, and will remain in retrograde motion until May 9th. This annual period is good for review and taming of extravagances. For you, Jupiter retrograde periods always affect money matters, and this year, also influences your friends and goals. If you have too many ideas or projects on your plate, this is a good time to see which ones are most viable. Aim to pare things down. Some of you could be reassessing your involvement with a friend or group or simply toning down your social life a little. It’s a good time to look at spending and business matters in a new way. This morning, there can be some chaotic moments as things may not go exactly as planned. Know your limits and respect them. 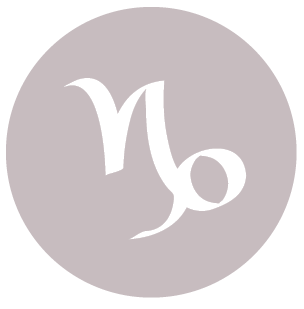 Your ruler, Jupiter, which is currently moving through your professional zone, turns retrograde today, dear Sagittarius. You may need to curb your enthusiasm a little on the professional front now – just enough to gain new perspective and to focus on projects that are doable. Even so, there can be a pleasant feeling of letting things unfold naturally, and faith that they will work out in the end. You are seeing your capabilities for what they are, rather than over or under-estimating them. You might decide to review, edit, and perfect current projects rather than taking on new ones just for the time being, as you may have been sensing recently that you’ve taken on too much. Enjoy the moment, but capture it as well so that you can carry it forward. This is not a time for actively expanding, but rather for reaping the rewards of recent successes, and focusing your energy on those projects already underway. Generally speaking as well, this is a natural time for easing up on excesses. The Moon continues to transit your sign all day, however, and some self-pampering today is quite appropriate. It’s a time of the lunar month for recognizing needs for nurture. This morning’s Sun-Uranus square can overstimulate, so watch for too-quick moves, particularly with money and love. 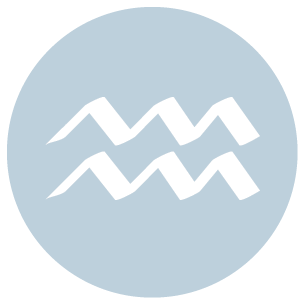 With Jupiter retrograde today until May 9th, dear Capricorn, it’s a natural time for adjusting expectations to better match energy levels and time. This is a good time for turning inward and getting in touch with what truly motivates and enthuses you, particularly related to belief systems, intellectual pursuits, and long-range goals. Some of the faith you’ve been nurturing may seem to drop away, but only just enough for you to see your plans in a different, more realistic light. Jupiter will continue to excite your interest in venturing out and broadening your horizons until October. While it’s retrograde, you’re more inclined to think over and review current projects and ideas, however, than actively pursue new ones. Today, a Sun-Uranus square can overstimulate you this morning, particularly if you have been holding on to frustrations that beg release. It can be difficult to accept restrictive conditions right now. Mental tension can continue this morning, dear Aquarius, with the Sun in hard aspect to your ruler, Uranus, in mutable houses. Avoid overthinking, but also sidestep impulsive moves. Find a balance now. This can in fact be a good time to see areas of your life that have become dysfunctional and that are best left behind you. With Jupiter turning retrograde today, you may need to redirect some of your energy away from a partnership or a focus on others if this has been excessive. In the coming months, until May 9th, there is good energy for reviewing, reassessing, and moderating debt. It’s also a time for developing current projects rather than taking on new ones. Think in terms of correcting excesses. If you’ve been overspending or over-borrowing, or otherwise too dependent on others for your happiness, then this is a time for bringing things back into balance. A Sun-Uranus challenge this morning can put the pressure on, dear Pisces, but it’s better not to rush anything right now. If you haven’t been recognizing a need to make changes in your practical affairs or social life, there can be some tension experienced today, but also an important awakening to new ideas and possibilities for improving your methods, income, and relationships. Today, Jupiter begins a four-month retrograde period. This annual event tends to affect your professional goals and aspirations, and this year, also your partnerships and negotiations. This is a time for taking a more realistic look at current projects and for developing these rather than taking on more. A partnership or friendship may need a little breathing room and the chance to unfold naturally. 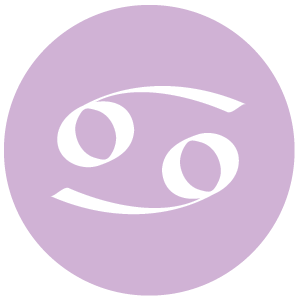 Jupiter retrograde and direct periods honor the natural ebb and flow of things – there are times to push forward and times to slow down and review. Posted on January 7, 2016 by ladyoftheabyssPosted in Articles, Daily PostsTagged AQUARIUS, Aries, Cancer, Capricorn, Daily Horoscopes, Gemini, horoscopes, Leo, LIBRA, Pisces, SAGITTARIUS, Scorpio, Taurus, Virgo.